eco-friendly glamping break in the Atlantic Surf Pods . Get a two-night stay for two people for£99 (up to a £148 value), with all bed linen and towels provided. 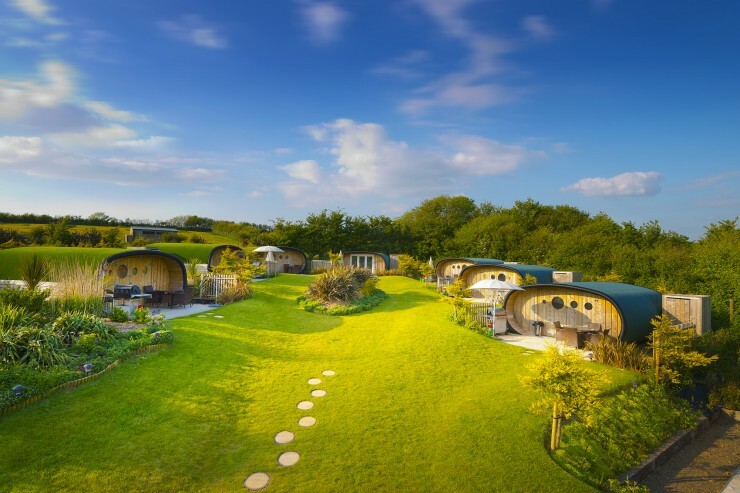 Situated on 26 acres of Cornish farmland, the self-contained pods’ curved ceilings give a cosy feel, and the front doors open fully to let the outdoors in. The pods contain underfloor heating, and you’ll spend the night on a king-size memory foam bed. Each has its individual decked area, with gas barbecue-oven and outdoor furniture, as well as a private external wet room, featuring a heated shower, flushing toilet and hand basin. even an on-site Shellcraft Studio workshops for young and old alike who wish to get arty. This Escape is for two people, with availability from Sunday to Thursday. Stays in June are subject to a £10 supplement, per day; stays in July are subject to a £20 supplement per day. Up to two children aged 12 and below may stay in the pods; giant bean bags are provided. Supplements apply; contact the merchant for further details. Check-in 4-6 p.m.; checkout 10.30 a.m.